There has been a lot of progress in the agricultural field these days. 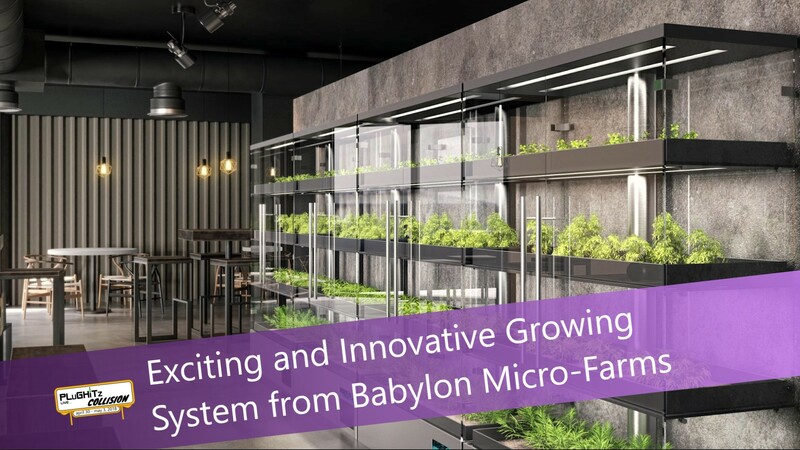 We met Alexander Olsen the CEO of Babylon Micro-Farms, which is producing a low-cost hydroponic system for in-home and commercial use. This system uses 90-95% less water and produces a better crop of produce and plants than if they were grown outdoors. All you need is an active water line like for your refrigerator. This process is touted to be the future of agriculture. There are no GMOs or pesticides used so the health aspect is greatly improved. The growth rate is 2 times faster than the traditional way. Another benefit is that with the traditional way, you lose 50% of the nutrients within a day of harvesting. The best part of this is that you are the one doing the harvesting and you get it as fresh as it can possibly be. This is being targeted for various markets such as consumer and restaurants. In the restaurant business, it is necessary to order fresh produce from all over the world on a daily basis. This system will eliminate that. The freshness factor will definitely be enhanced. It is in the form of a dose pack that is simply put in a pod similar to a Keurig. The pods are pre-measured for a single serving. The dose control recreates the perfect environment for each particular crop so that you can program in what it is you want to grow and how to grow it. This results in a very consistent and successful crop of your chosen plant. Finding the right staff was a challenge for Alexander. He had to look long and hard to find people who were dedicated and meshed with each other. They also had to be willing to work very long hours for very little pay at first. The current unit is similar to a refrigerator in size. It measures 4x2.5x6 feet. Hopefully, it will be available in the next 6-9 months at a price point of $8,000.00. For more information go to the company's website.